If you or a loved one has been in a truck accident, call Estey & Bomberger, LLP for a free consultation. Our San Diego truck accident attorneys have the drive, determination, and dedication to secure maximum results for your personal injury claim. Our firm has obtained more than $500,000,000 in settlements and verdicts for clients in the past five years. We commit the personal attention to each case and go the extra mile to get you the best results we possibly can. When you are injured in an accident involving a big rig, semi-truck, 18-wheeler or any large commercial vehicle, call us today for a free consultation. How Much do Truck Accident Lawyers Charge? Many people wonder how much it will cost to hire a truck accident lawyer. The great thing about truck accident attorneys is that most handle these cases on a contingency fee basis, meaning you don’t have to pay any money out of pocket to hire the attorney. When you hire Estey & Bomberger to handle your truck accident case, we will handle your case and only charge you a fee for our services if we are able to successfully recover money on your behalf. This way, there is no risk to you to hire our law firm. Is it Important to Hire an Experienced Truck Accident Attorney? Truck accidents are more complex than standard car accident cases. It is very important that you hire a San Diego attorney who has extensive experience not just handling truck accident lawsuits, but taking these cases to trial. Most consumers don’t realize that not all lawyers who handle truck accident cases will take a case to trial if need be. Trial is expensive and time consuming, so much San Diego truck accident attorneys shy away from going to court. That’s not the case at Estey & Bomberger. 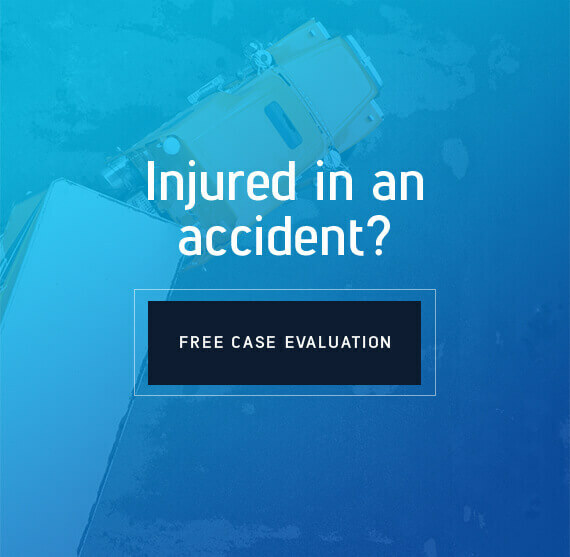 If a fair settlement is not offered, we will take your case to trial and do everything we can to make sure you get fairly compensated for the damages caused by the truck accident. How Will My Attorney Deal With the Commercial Truck Company? Trucking companies are notoriously difficult defendants in California personal injury claims. For years, trucking companies successfully escaped liability for truck accidents by shirking ownership and employment duties. They leased their trucks instead of owning them outright, and hired independent contractor drivers instead of employees. Today, however, the FMSCA has laws in place to hold truck companies financially responsible for accidents involving their trucks and drivers, even if the truck company leases its trucks and contracts its drivers. Most truck accident cases in San Diego involve more than one at-fault party or defendant. The average commercial truck accident involves a separately-insured cab, trailer, and cargo, as well as other passenger vehicles besides your own. A lawyer can handle communications amongst multiple insurance companies in pursuit of fair compensation for your injuries and property damage. Multiple insurers can often work to your advantage as a victim, as it generally means more available liability coverage – as long as you have an experienced attorney doing the negotiating on your behalf. What Should I Seek from a Truck Driver After an Accident? Truck drivers often cause truck accidents by distracted driving, ignoring safety concerns, speeding, incompetent driving techniques, driving drowsy, or drunk driving. Accident training and insurance companies, however, tell truckers not to admit fault after a collision – so don’t worry if a truck driver refuses to admit fault. Give police your side of the story when they arrive on the scene. Collect as much evidence as possible to start building your personal injury case file. Then, wait for investigators to assign fault. Go directly to the hospital. Insurance companies will use any excuse to deny a truck accident claim – including a victim’s failure to seek immediate medical care for injuries. Don’t risk the truck company avoiding responsibility because you delayed medical attention. Go to the doctor right away, even if you don’t feel injured. Give your side of the story to police. Don’t let the truck driver’s version of events be the only one that makes it into the police report. Tell your side of the story as well. When asked whether or not you have injuries, say you don’t know. You could have injuries with delayed symptoms. Don’t say for sure until you’ve seen a doctor. Never agree to the first settlement amount an insurance company offers you. Odds are high that it’s far less than your case is actually worth. Even if the agent says it’s the “top” or “final” offer, don’t say yes until you’ve spoken to a lawyer. Don’t agree to give a recorded statement to an insurance claim adjuster. The company can use what you say against you later. You are under no obligation to agree to the insurance company recording you. Don’t admit fault. Even if you think you contributed to the accident, don’t say so. Be honest, but stick to the facts of the case instead of speculation. Instead of assuming fault, let investigators assign liability. Even if you do everything right, you could find yourself the victim of insurance bad faith and an unfairly denied claim. Many trucking companies will do all they can to escape financial responsibility for an accident. It’s your job to protect your rights by hiring a lawyer to represent your case. Who is Liable After a Truck Accident? Truck driver. The truck driver in your collision may have broken some federal or state commercial driving rule at the time of the accident. The FMCSA enforces many rules regarding what truck drivers can and cannot do while on duty. For example, truck drivers must stick to hours of service (HOS) regulations while on duty. Breaking a rule or driving negligently could point to trucker liability. Truck/trailer owner. If a mechanical failure caused your accident, the liable party may be the person or company that owns the equipment. It is the owner’s job to properly maintain fleet vehicles. Routine inspections, high-quality repairs, and part/truck replacements are necessary for a sound vehicle. Failure to keep a truck in proper working order, resulting in an accident, could come down to owner liability. Product manufacturer. Equipment failures may stem from defective parts, not lack of vehicle maintenance. If this is the case, the manufacturer or distributor of the tires, cargo straps, brakes, or other parts could be liable for damages. Common examples of part failures in truck accidents include tire blowouts, bad brakes, and power steering failures. A truck company will be vicariously liable for the actions of its drivers, cargo loaders, and other workers in most accident cases. A company could also be liable if it contributed to the accident in some way, such as ignoring hiring best practices or placing too much pressure on drivers to meet deadlines. Many cases involve more than one liable party. It’s important to get a lawyer’s help with your San Diego truck accident case to properly determine the defendant(s) in your claim. Unless you hire an attorney, a trucking company will always be one step ahead of you when it comes to the legal process. As part of an industry that centers on transportation, truck companies prepare extensively for the possibility of traffic accidents. They protect their companies, defend their rights, and minimize liability any way they can – starting with strong, aggressive legal teams. Truck company insurers also expend significant resources on fighting legal battles. Insurers know that a losing claim could mean hundreds of thousands of dollars paid out to crash victims, and will do what they can to deny, delay, or diminish coverage. The best way to protect your rights when dealing with a trucking company is by hiring an experienced personal injury lawyer.